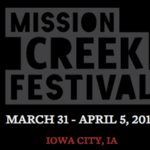 Saturday, April 4th, as part of the week-long Mission Creek Festival, FilmScene showcased three films and a pop-up photo show. Producer John Baker was on hand to discuss his films Memphis and Dragonslayer, and filmmaker/photographer Bill Daniel was also present to discuss his film Who is Bozo Texino? and his photo show Tri-X Noise. The day’s features started at 1:30pm with Memphis (2014), a poetic and slow moving meander through the iconic city, and through the life of a disillusioned soul singer. 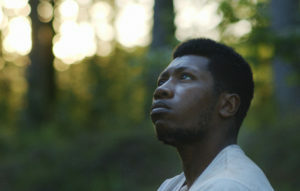 The film starred real life soul and R&B artist Willis Earl Beal, as it followed the troubled singer’s struggles with success and insanity. As producer John Baker explained before the film, it doesn’t feature a hugely present narrative and is more focused on capturing the essence and the feeling of the characters and the city. During his post-screening Q&A, Baker went into detail about the production process of the film. Apart from Beal, all other actors were locals cast on location in Memphis. He explained the process of creating the scenes, saying that although a short story was fleshed out beforehand, no dialogue was ever written. This means that all of the amateur actors, many of whom the filmmakers met in restaurants, grocery stores, or off the street, improved all of their lines and interactions. This worked to the film’s advantage, as it perfectly replicated the cadence and tone of voice of the locals, giving the film an incredibly realistic vibe. At 4:00pm, Dragonslayer (2011) was shown. 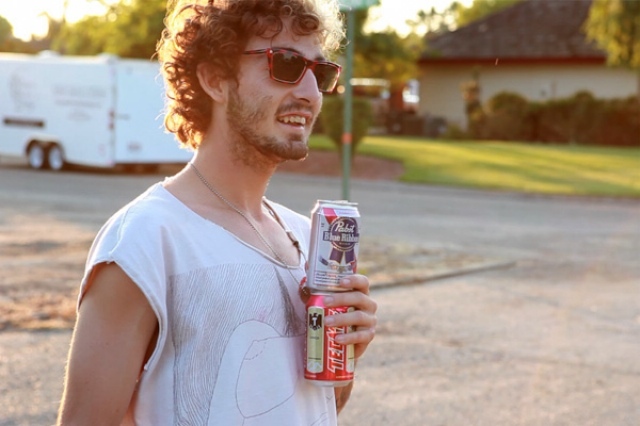 The documentary, winner of Best Documentary at SXSW 2011, followed legendary pool skater Josh “Skreech” Sandoval, as he skated his way across the West Coast. Reckless, carefree, and at times a little frightening, the film showed the skater at his lowest moments, but also at his most free. Constantly drinking, getting high, and skating, Skreech went to Stockholm, Portland, Fresno, and back home to Fullerton, CA, without much more than a tent and the few dollars in his pocket. 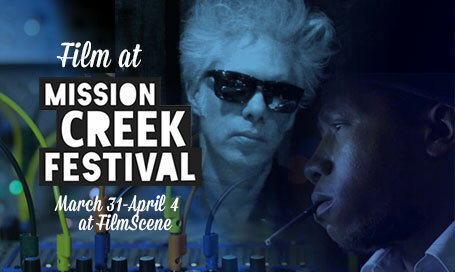 The intimate and honest film honed in on Skreech’s strained relationships and struggles raising his young son. Once again, John Baker was available for discussion after the screening. He explained the process of meeting Skreech and his ragtag gang of “scumbags”, filming his life, and editing the entire ordeal. 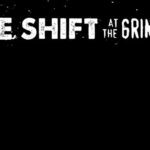 Matching the honest tone of the film, Baker explained that he and his small crew had to prove themselves to Skreech as “legit” in order to gain his trust, and have him expose his true nature on the camera. After hours of working through possible frameworks for the film, Baker said the post-production crew suddenly realized that the story was best told in straight chronological order, and the film’s straightforward nature was complemented nicely by the simple narrative created by the simple editing structure. 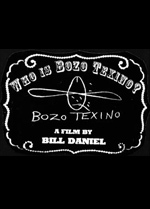 At 6:30pm, FilmScene presented Bill Daniel’s Who is Bozo Texino? (2005), with the filmmaker present for discussion after the screening. Who is Bozo Texino? was a 16 year project studying the art of Hobo graffiti. Mixed with interviews of hobos and shots of the American landscape clipping by on rail cars, the film explores the mysterious identity of Bozo Texino, an artist who has marked rail cars with his iconic logo for over 80 years. Daniels meets and speaks with tons of hobos about living on the rails, and their own traditions of hobo graffiti and folk art. Shot in gritty black and white 16mm film, the aesthetic of the movie perfectly matches the rough and lovable characters that we meet throughout it. Bill Daniels spoke after the film about his origins in small town Texas, and the DIY work ethic that he learned from the punk music scene of the 80’s. Punk music also influenced the other piece of art that he had on display at FilmScene; a photo gallery called Tri-X Noise. 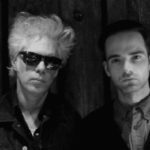 The photos, all shot in authentic 35mm, crawled through the sleazy and dirty punk music scene of the 80’s and 90’s, from Texas to LA. The photos displayed the talent and raw style of Daniels, evident in his photography as well as his films. Be sure to keep up-to-date with all of Bill Daniels’ work here.